The Costalegre of Jalisco is an area worth discovering, if you like pristine virgin beaches, hidden coves, azure waters, and fishing villages without the usual tourist trappings, this could be for you. 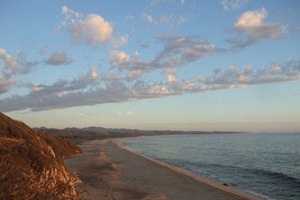 The Costalegre, also known as the happy coast, runs along most of the state of Jalisco. Because it is well south of Puerto Vallarta and the airport, many have never heard about it. And much of it has not been developed. Imagine, Bucerias, San Poncho, Sayulita, and Punta Mita, twenty five years ago. That could describe much of the Costalegre today. Of course you will not find the people, or fellow travelers or tourists. You will not find the boogie boarders, and surf groupies. The beaches are not lined wall to wall with restaurants and bars. The streets are not crowed with vehicles looking for a place to park. This is, the charm of the undiscovered Costalegre of Jalisco. 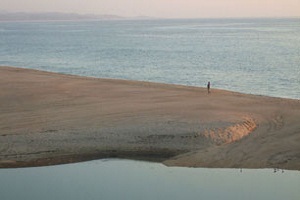 Part of the Costalegre – the northern end, encompasses much of Cabo Corrientes, the very large cape of land at the south of Banderas Bay. For a point of reference, Puerto Vallarta sits in the middle of Banderas Bay. Cabo Corrientes or this large cape is ringed with beaches, bays, and coves. The popular bay and community of Yelapa is well known, and is easily accessible from Vallarta by water taxi. 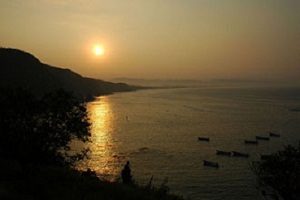 Beyond Yelapa, areas can be reached by road from the south starting at the town of El Tuito south of Puerto Vallarta. When you first see some of these areas you will be blown away by the beauty and find it hard to believe no one is there. Access, power, water, and political will have held development in check until recently. Plans and projects are now underway creating the infrastructure that will support the development of the Cabo Corrientes area. The savvy people are now driving south of Puerto Vallarta to El Tuito and then heading down to the beach areas. The most well known of these, is Mayto and the fishing village of Tehuamixtle. A partially surfaced road serves these areas and continues further south along the coast. You can find lodging in Mayto, Tehuamixtle, and Villa del Mar. There are also restaurants in two hotels, and in Tehuamixtle. An afternoon lunch under a grand palapa in the fishing village of Tehuamixtle will have you wishing you could stay, buy, or move there. It is just that kind of place. There is something magical along this part of the happy coast. It is not going to be a secret for much longer.